Until about 100 years ago, the Black Honey Bee was the only Honey Bee that lived in the UK. It is our original, native bee and has adapted to life here over the past 4000 years. In the early 20th century the Black Honey Bee population was all but wiped out by a disease. Shortly after this, the outbreak of World War One meant many beekeepers left the country and did not return. Honey and beeswax were both important products at this time and so the government encouraged the remaining beekeepers to import new Honey Bees from warmer parts of Europe to make up the shortfall. These European Honey Bees have cross-bred with our remaining Black Honey Bees and overtime have diluted the gene pool, reducing their ability to survive in the cooler, damper UK climate. Many Honey Bees are still imported today, with approximately 10,000 new queens being brought in from Italy each year alone. 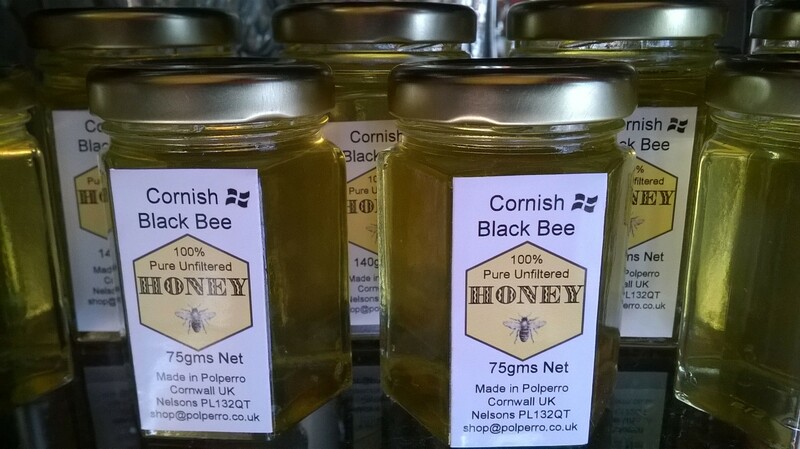 Purer strains of the Black Honey Bee still survive in a few isolated parts of the country, including parts of Cornwall. 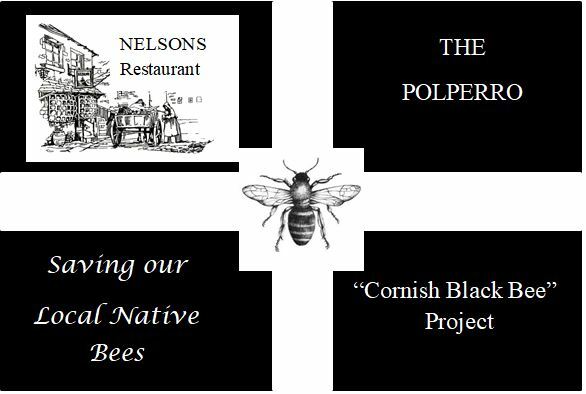 After considerable planning and consultation with Cornish Black Beekeepers.We have now completed the 'Nelsons Restaurant Apiary' in the heart of Polperro. 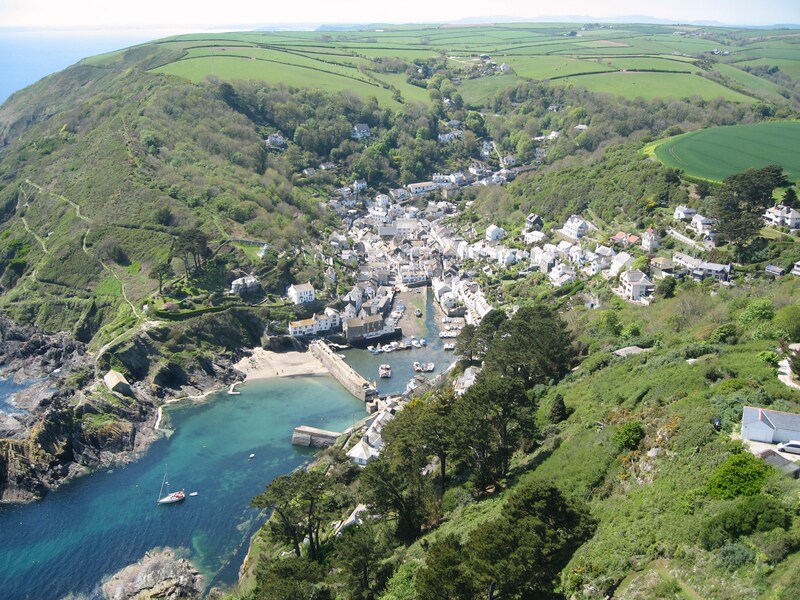 ‘Nelsons Restaurant Polperro’ Facebook page. You Can Help! 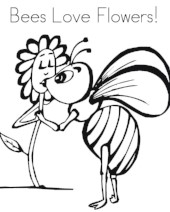 by planting ‘Bee Friendly plants and flowers for pollinators. Do we use Chemicals in our hives?No! Only herbal and nonchemical methods are used we also don’t spray our plants with pesticides. Do we harvest with an electric knife? No! Heated knives can superheat honey decreasing healthy enzymes. Has the Honey been filtered? No! We are using the latest technology that allows the honey to flow directly out of the hive and into your honey jar. It has not been touched by any other processing equipment or human hand. It will have a very slight cloudiness to its colour. Is the Honey pasteurised? No! While pasteurising makes the honey clear for supermarket store shelves the health benefits and taste are lost. When was the Honey Harvested? For those allergic to spring pollens, spring varietals can provide better allergy protection. Grab one harvested up to August for a full array of pollen protection. Keep in touch with all the latest news!